I thought I would give an update on my drawings for inktober, a month of daily ink/pen drawings. There is usually a prompt but I'm not currently following it. If you're following me on Instagram you will see my posts there first. 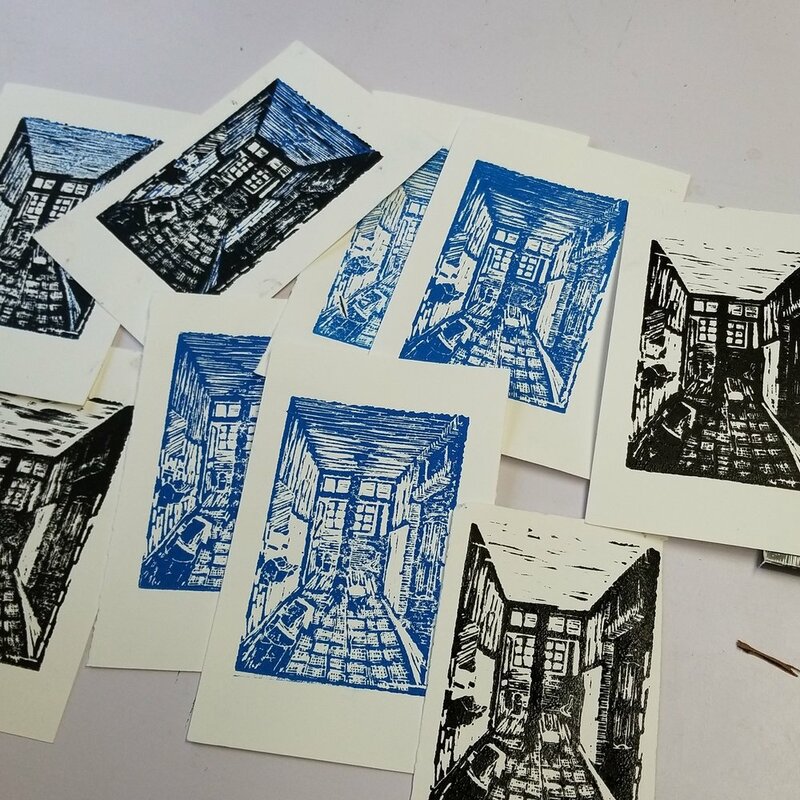 day 5- linocuts of a hallway, from reference.